I am a big fan of fermentation. Prior to the invention of refrigerators, traditional cultures learned how to harness the power of healthy bacteria to preserve food. Not only does fermentation preserve food, but it increases the nutrient quality and helps our gut flora. This strengthens our immune system. Modern society eats too much dead food. It is my opinion that adding fermented food to your diet will greatly improve your health. Since I started fermenting food, I almost never get sick and when I do my recovery time is much faster and the symptoms are more muted. Mostly I ferment veggies, but I’ve also dabbled with dairy ferments as well. Below is a list of posts that cover recipes and tips on fermentation. 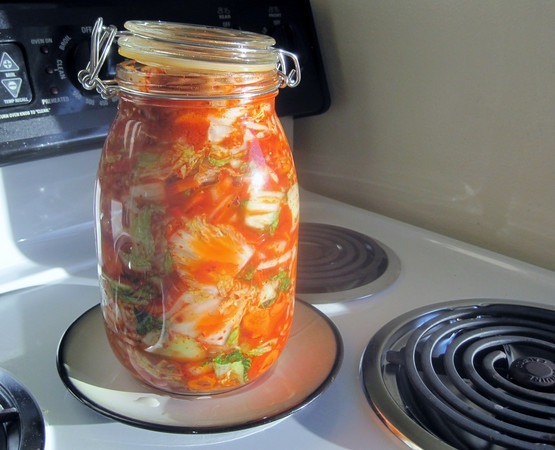 Kimchi For Beginners – Are you new to kimchi? Start here with this post. Kimchi 101 – Instead of being a tradtional recipe, this post is a guide on how to construct your own kimchi. Kimchi 2.0 – My updated 2012 recipe for kimchi. Bok Choy Kimchi Recipe – If you find Nappa Cabbage is too soft and you desire more crunchy kimchi, check out this kimchi recipe which uses Bok Choy. Cortido Sauerkraut Recipe – This is my favorite fermentation to date. It is a Latin American style sauerkraut that uses oregeno and jalapenos. Yummy! Dill and Caraway Sauerkraut – Another non-spicy veggie ferment. Ghost Pepper Sauerkraut – Hot with a fruity finish. Fermentation Station – This is my current setup for making fermented veggies. Ghost Pepper Kimchi – This might be too hot. You were warned. Fermented Carrots and Ginger Recipe – A sweet tasting kid friendly ferment. And a Vietnamese version that has a little heat. 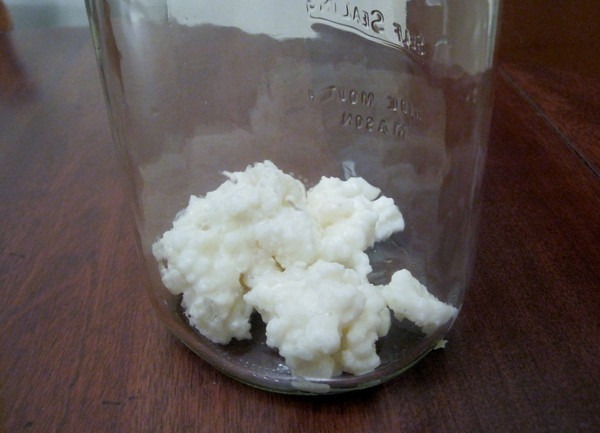 Making Dairy Kefir is Super Easy – Much better than yogurt in my opinion and much easier to make. Fermenting Vegetables and Salt Levels – What I’ve learned about dialing in salt levels for vegetable ferments. Fermenting Vegetables – Taste As You Go – My case for tasting your veggies throughout the fermentation. 4 Reasons Not to Ferment Veggies – Here I respond to the critics. How to Ferment Natto – Japanese fermented soybeans. The single best resource I have seen for getting started with fermentation is the Fermentation Workshop DVD by Sander Katz. 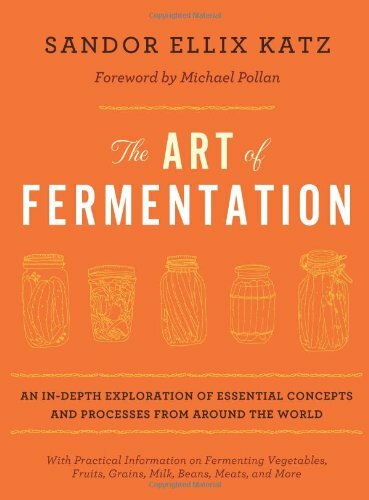 The four best books that I’ve seen on fermentation are Wild Fermentation, The Art of Fermentation, The Joy of Pickling and Nourishing Traditions.